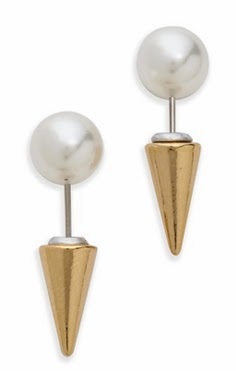 The unexpected combo of pearls and spikes makes for a distinctly cool everyday earring. I'm loving this pearl revival! Love the mix of feminine & edgy.